Olay Regenerist is already a hit with women, but now men are increasingly becoming fans of this product that in lab results has proven to turn back the clock on skin after 28 days. It’s engineered with supercharged formulas packed with amino-peptides for transformative results and younger-looking skin. Plus it plumps with hydration, firms to improve elasticity and helps correct the look of wrinkles - something we all want no matter our gender. 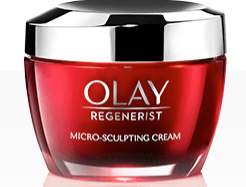 Olay Regenerist Micro-Sculpting Cream. $27. olay.com. Brush it over your head (or hands and face). One of its benefits is that it provides coverage and color - it comes in shades from medium to tan. $57. Charlotte Plastic Surgery. Dr. Stephan Finical is one of the country's top plastic surgeons. 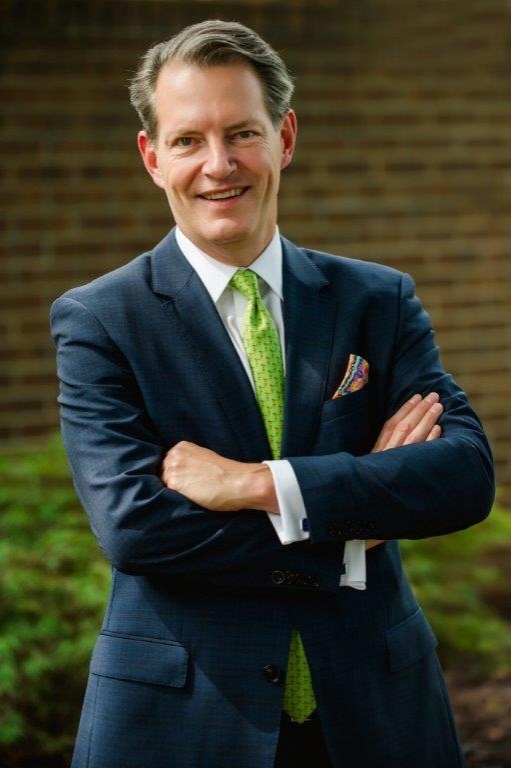 Dr. Stephan Finical was a tenured surgeon at the Mayo Clinic in Minnesota when Charlotte Plastic Surgery offered him a position. "Charlotte Plastic Surgery is a nationally known group so I knew of them," Dr. Finical says. "I'm from Mansfield, Ohio, and my wife and I had been thinking of moving back to the East Coast, so I flew to Charlotte to meet with them. When I got back to Minnesota, my wife already had a Realtor over to appraise our house!" Dr. Finical's reputation as an acclaimed surgeon and educator continues to flourish. He's especially known as a nose surgery expert: He's a member of the elite Rhinoplasty Society which is open to only the top 100 rhinoplasty surgeons in America. When he's not traveling across the country to train other surgeons and speak about the newest products and procedures, he enjoys outdoor sports and spending time with his wife and two children. The O Report was honored to have him educate us about everything from the importance of dressing well to the best thing you can do for your skin and the nonprofit that's most meaningful to him. I always wear a suit and tie, and usually a pocket square. My father wore a suit to work every day and so do I. Once, early in my career, I considered dressing casually on an operating day. I decided against it, and that day I was asked to consult with a VIP patient. I was so glad I wore a suit. Honestly, I just hate consulting with patients when I'm wearing scrubs. It’s like wearing your pajamas. It’s too casual. It bothers me. Who is your male style role model? Cary Grant. He always stressed owning less quantity and higher quality clothing with an emphasis on tailoring. The fit is so important. One of my favorite part-time jobs in college was working in a men’s clothing store that had its own tailor shop. No surprise - knowing my profession - that I was very interested in the tailor shop and what they did! Any favorite grooming products or grooming tips? Sunscreen. Always wear sunscreen, especially if you are over 40, and TNS Essential Serum from SkinMedica. TNS contains human-derived growth factors that help support skin health. It is based on real and honest science and truly makes your skin look better. I run, usually four or five times a week. I have a five-mile loop that I run on the greenway. Once a quarter I run the equivalent of a half marathon. It’s good for me both mentally and physically. My wife and I both donate and volunteer at The John Crosland School. It’s a school for kids with learning differences. There are so few good resources in Charlotte's public schools for children who really need that type of specialized learning. I would encourage anyone to look into donating their time or money to such a worthy cause as the education of children. Kids with learning differences have the most to gain. You can take a frustrated child who has little opportunity in traditional education and make them a successful contributor to society. These kids have huge upside potential. It’s a place where you can really make an impact. What’s the biggest risk you’ve ever taken? Leaving a tenured position at the Mayo Clinic to move to Charlotte. Read. I read a lot for work, but I enjoy reading for pleasure as well. I try to read anything that an educated person “should have read,” so I’ve played catch up on a lot of classics. I also like to watch college football. Having played in school (Division III), I love the fact that amateur athletes who may have had finals or midterms and are trying to grow up like all college students are also practicing and performing on a very high level at their sport. 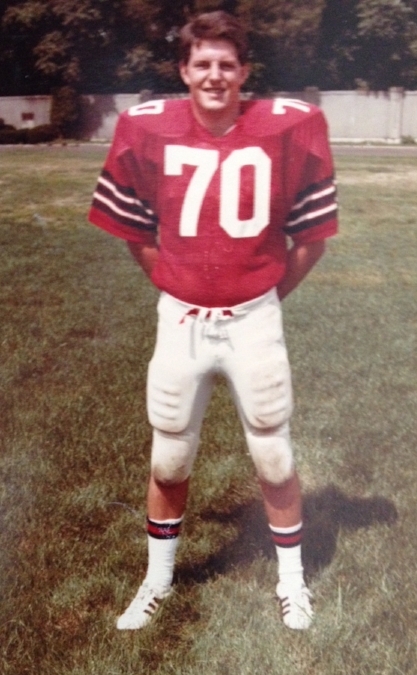 Dr. Finical has always been athletic, including playing Division III football. Who are your favorite writers and/or filmmakers? Kurt Vonnegut. He's such an interesting writer. But my favorite book is probably The Good Earth by Pearl S. Buck. On the surface it should be uninteresting. It's about Chinese farmers at the turn of the century. But it gives insights into the way of life, feelings, thoughts, and norms of a different culture. I try to read classics that I missed because I was studying science in school. Both of my parents love to read. My dad reads a book a week. I’ve enjoyed all the Stanley Kubrick films. They are usually surprising, deep, and often disturbing. My dad took me to see 2001: A Space Odyssey when I was six. I don't understand it any better now. I’m still trying to figure it out. In front of a computer, I often feel like the apes with the jawbone in the opening scene! I learned to enjoy movies from my father. He was a Depression-era kid and went to the movies every Saturday in the 1930s. He would take butter and egg money and go with his friends, and they would watch Westerns all day. I enjoy watching my children blossom as young adults. Stagioni is walking distance from my house. My wife and I will walk over on the Friday nights that I get home late and we are never disappointed. Russ, Leeann and Nicole always have great recommendations for us to try. Where are your favorite places to vacation? MACS...Massive Amounts of Common Sense. What did you learn from your father or grandfather that still influences you today? My father taught me always to do your best and present yourself well. He is very clever. He's 90 and works the crossword puzzle every day, has a terrific sense of humor and is always well-dressed. My maternal grandfather was mechanically talented. He once carved a working pair of pliers for me out of a single piece of wood. He taught me that if you are resourceful, you can fix anything. Power bars. I keep a stash in my desk drawer at work. My favorite is Kashi Honey Almond Flax. It has a really nice texture to it and doesn't have too many calories. I gnaw on those and drink low calorie Gatorade so I don't get dehydrated on operating days when I don't get a chance to go out for lunch. What’s your favorite indulgent snack? Ice cream! I could eat it nonstop.